The shoulder consists of three bones: the clavicle (collarbone), the scapula (shoulder blade) and the humerus (upper arm bone). These three bones make up a “ball-and-socket” joint that is held in place by muscles, ligaments and tendons. The shoulder is the most flexible joint in the body, allowing for a wide range of motion, but because of that, it is a common source of injury and instability. While many afflictions of the shoulder can be treated using more conservative methods, some may require minimally invasive surgery to effectively relieve pain and restore function to the joint for significant, lasting results. Simply put, a fracture is any break in a bone. 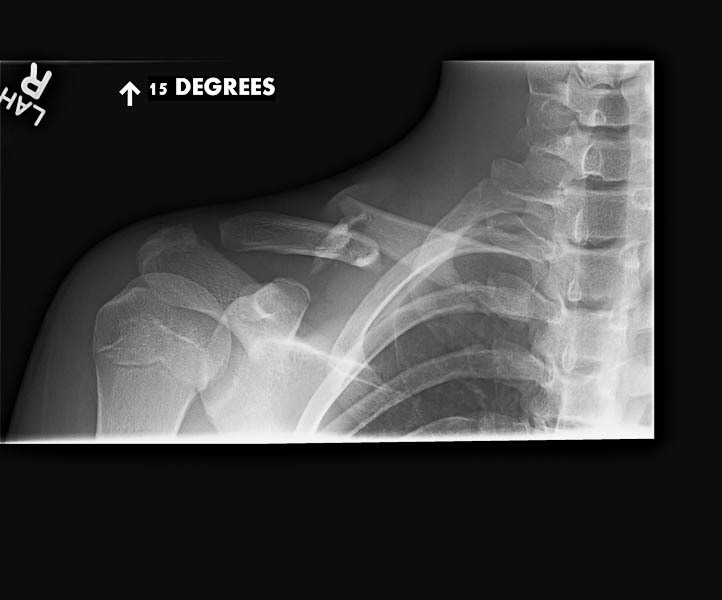 There are a wide variety of fractures that can occur in the shoulder – ranging anywhere from a hairline crack (a stress fracture) to a complete break. Shoulder fractures may involve the clavicle (collarbone), proximal humerus (top of the arm bone), and scapula (shoulder blade). When more severe, a fracture in this area will often affect the muscles, ligaments and tendons that surround it. These injuries are usually caused by an impact such as a direct force or a fall, and usually result in severe pain and limited movement. Adhesive capsulitis, more commonly known as frozen shoulder, is a common condition that causes pain, stiffness, and limited range of movement in the shoulder. This condition may come about following an injury, from overuse, as the result of a stroke or from a disease such as diabetes. Frozen shoulder occurs when the tissues of the capsule that protect the joint stiffen and scar tissue forms. The result is that shoulder movements become difficult and painful. Although the specific causes of this condition are unknown, it most often affects patients between the ages of 40 and 60. The rotator cuff is a group of tendons and muscles that come together to form a “cuff” that supports the shoulder joint. It keeps your arm in place in the shoulder socket, while allowing for complete movement in different directions. Rotator cuff injuries come as a result of a direct force, the impact from trying to break a fall, or even lifting heavy weights. Symptoms can include snapping or crackling sounds when moving the shoulder, weakness and tenderness in the joint and difficult or limited mobility. in that this type of procedure is minimally invasive, effectively decreases the amount of bleeding during surgery, has reduced risk of infection or other complications, and minimizes scarring. (upper arm bone) fits into at the shoulder joint. It provides stability, cushioning and full range of motion to the shoulder. A tear in the labrum is caused by a direct injury or overuse and can lead to pain, instability and “catching” of the joint when it is in motion. In labral tear repair larger tears may require an open procedure, but surgery on smaller tears can be performed using arthroscopy. In this minimally invasive procedure, a long, thin tube tipped with a fiber-optic camera is inserted into the body through small, carefully placed incisions, allowing the surgeon to view the damaged area. Repairs are then made employing staples, anchors or sutures to brace the labrum as it heals. In a condition known as subluxation, the shoulder has been dislocated or has slipped partially out of the joint due to weak or damaged cartilage surrounding the humerus. To repair this, a patient may undergo shoulder stabilization, a procedure performed arthroscopically that utilizes special implants – called suture anchors – to re-attach any loose or torn ligaments to the joint. Suture anchors help to realign and tighten the injured shoulder. They are not removed after surgery, but will disintegrate over time. Depending on severity of the injury, shoulder stabilization surgery may also be performed to repair tears of the biceps muscle tendon, a damaged rotator cuff, or tighten the shoulder capsule. Arthroscopy is a minimally invasive procedure, offering patients many benefits over traditional surgery. By giving doctors a clear view of the inside of the shoulder, arthroscopy is useful for confirming the diagnosis of various imaging procedures, x-rays and MRIs for instance, as it provides your doctor with a three-dimensional, real time look at the injured area. When undergoing arthroscopy procedure, your surgeon will make a small incision near the affected area of the shoulder and insert an arthroscope – a long, flexible tube with a fiber-optic camera at its tip – into the joint. The camera displays a video feed of what is seen on a screen, and your surgeon is able to use this internal view while repairing any damage that is found. Using arthroscopy, patients experience less tissue damage, shorter recovery times and less scarring. For severe shoulder injuries and persistent injuries that have not responded well to conservative treatments, shoulder replacement surgery may be the best alternative. Shoulder replacement surgery is performed by removing damaged bone and tissue from the affected area and replacing it with an artificial metal and plastic implant – allowing patients to put an end to pain and get back to their regular activities. Often symptoms of pain, stiffness and swelling are alleviated, while improving range of motion and stability. For patients with large rotator cuff tears or those who have developed shoulder arthritis known as “cuff tear arthropathy,” this progressive shoulder replacement technique is most beneficial. In a typical shoulder replacement, the “ball” of the humerus (upper arm bone) is substituted for a synthetic component and the “socket” of the shoulder joint is replaced with a cup shaped prosthetic – both meant to replicate the natural shape of the bones. In this procedure, the “ball” and “socket” are reversed, hence the name: “reverse” shoulder replacement. The advantage of this method over the standard shoulder replacement is that it gives greater mobility, allowing the arm to raise above shoulder level. 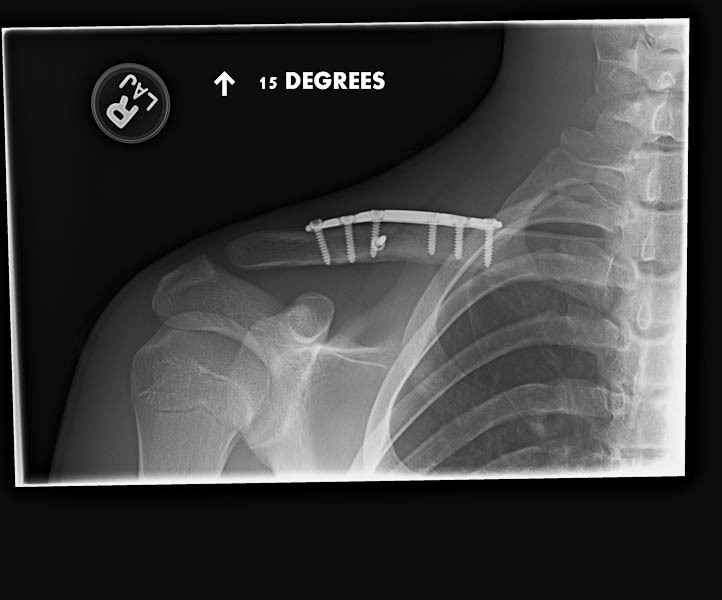 This is not possible in a standard total shoulder replacement.